So what’s it like to share a room on a retreat with someone you have never met before…Here is one of our previous retreatants experience. During the retreat , whilst in silence I felt a lovely warm and much deeper sense of connection with my room mates. I had thought I wouldn’t be able to tolerate people’s noises at night but I actually practised mindful listening before drifting in to one of the best sleeps I’ve experienced. Having experienced both being in a single room and a shared I would happily do either at a retreat..but my experience of sharing was definitely one of connecting with people on a much deeper level… I learnt a lot about myself that I took in to my daily life and practice an I made some new life long friends too. It’s time to nurture yourself with a wonderful 3 day retreat at the “Millhouse Retreat” set in the glorious Devon countryside. 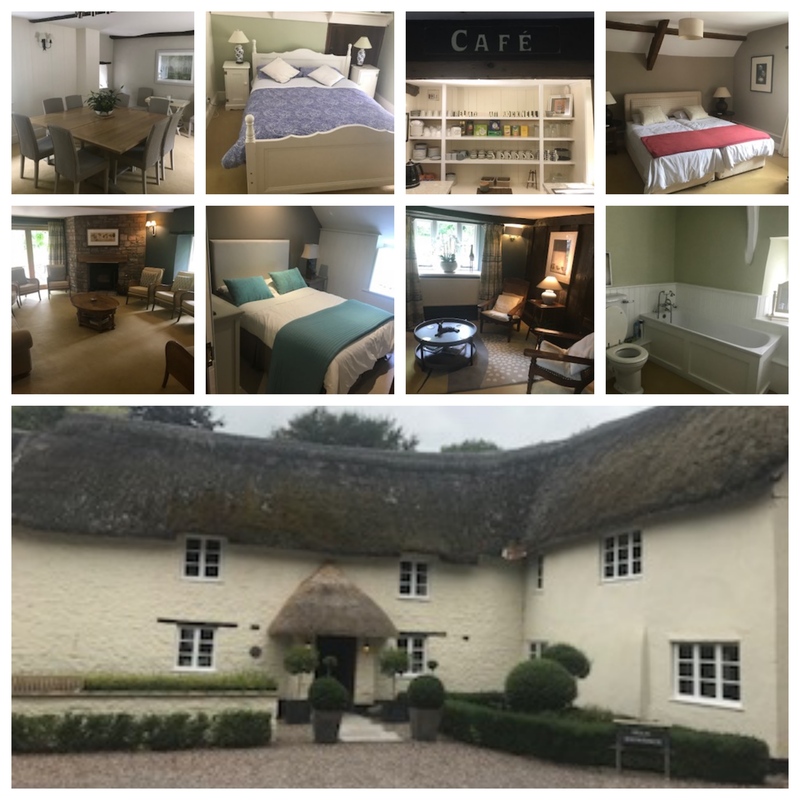 Mill House is set in 7 acres of Devon countryside, this beautiful thatched farmhouse combines the atmosphere of a centuries old building with the comfort of a modern home. Good food and good conversation alongside times of stillness and silence. Exploring spirituality is challenging – it helps you reconnect with yourself and others. It takes time to think about the pattern and rhythm of your life and you can do that here. With teachers Karen Atkinson and Angie Ward, the retreat will move into silence towards the end of the first day until lunchtime on the final day. We are delighted to introduce you to Anna Taylor who will be teaching our Integrating Mindfulness and Compassion in Professional Practice Teacher Training Course (IMCPP) which starts in Cambridge in the autumn. 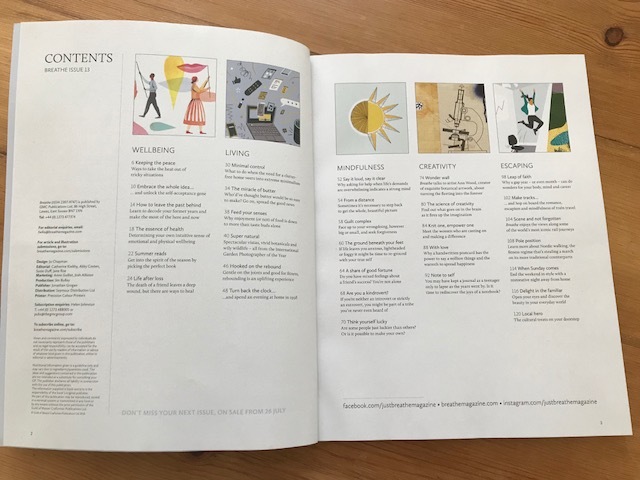 The course has now expanded and is being delivered in London, Bristol, Taunton and Cambridge and I am delighted to be co-delivering the Cambridge course which begins in November. The main pre-requisite for undertaking the training is to have a regular meditation practice and have undertaken an 8-week Mindfulness Based Stress Reduction (MBSR) course. If this is something that you feel may benefit you and what you offer professionally do visit https://mindfulnessuk.com/…/integrating-mindfulness-and-com… for more information. My name is Karen Atkinson and I’m the founder of MindfulnessUK. I have been invited to talk about mindful self-compassion and how developing self-compassion has supported me enormously through difficult times. I have a background in nursing and then went on to become a therapist teaching mindfulness and compassion to clients suffering from long-term chronic health conditions, traumatic psychological and mental health issues such as long-term depression, stress and anxiety and also physiological conditions such as pain. Because of my personal and professional experiences over the years of the power of these practices, I set up my own Centre in Taunton and now feel very blessed, teaching clients far and wide and teacher training other professionals to deliver them too, both in the UK and Europe. 4) To become more aware of our habitual styles of thinking and behaving. 8) Gives us the capacity to regulate our emotions. However I’ve been teaching Mindfulness skills in the clinical setting for around 17/18 years and it is only in the last few years that I have really started to observe the benefits of teaching compassion alongside Mindfulness. Mindfulness can be a little bit dry, it can facilitate feelings of being stuck, going around in circles sometimes with our insights and newfound understanding of ourselves. But where do you go from here? Compassion is a way of bringing warm gentleness, softness and friendly attention to whatever arises for us in that present moment. To me I always think of it as a way of feeling into things as they are and in giving us the tools to then be able to move forwards in a very different way than we have been doing before. In philosophical terms the Buddhist tradition talks of a mythical bird where one wing represents wisdom, Mindfulness, and the other represents compassion. It is out of balance to have one without the other. Therefore Mindfulness and compassion are of equal importance in helping us to develop, to grow and to help you move forward in a very different way. I would like to explain to you why I feel so passionately about this and how the compassionate element has really brought a different quality to me personally and why I go on to teach it to my clients in my groups, individuals and teacher training. I know on a very deep level how life changing it can be. Having been a therapist for those years I was given a diagnosis of cancer five years ago now. I had always thought that I was very kind and compassionate to others and that I also had a sense of being kind to myself. I realised that actually bringing my mindfulness practice to the diagnosis and the treatment was extraordinarily helpful because I didn’t get caught up in catastrophising, layering up the distress, creating secondary suffering. However, I clearly remember sitting doing my mindfulness practice, crying and sobbing because I was so aware of the intensity of the emotional pain, the mental trauma and feeling a bit let down by my practice. I knew these practices so well but I didn’t feel they were enough to deal with and combat such distress. I realised that I needed something else and started to investigate self-compassion practices with fervour, reading about them, practising them, focusing on myself, which was new and unchartered territory for me. I recognised that I was wracked with a sense of blame and guilt, feeling that I had done something to give myself cancer which obviously added further to my distress. 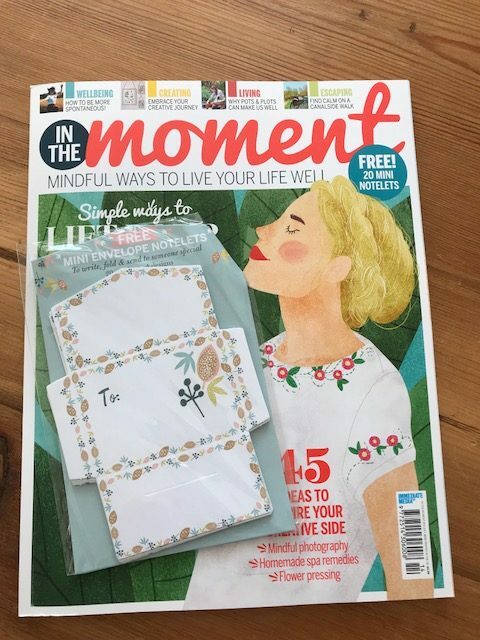 I felt such a deep, guttural fear and realised I had to do something differently in order to deal with the immediate effects of major surgery and radiotherapy and, universe willing, move forwards with my life in a completely new way. It was the compassionate element, being kind to myself on a moment by moment basis during the process whilst I was sitting in the waiting room to see the consultant, undergoing invasive radiotherapy and on the conveyor belt of treatment, that made such a difference to me. Of course the fear of dying was very clearly there to worry about, the effect it would have on the family and so on was there at the forefront of my mind. I just kept bringing compassion to what I was going through and the main way I was doing that was through self- soothing practices. Something that was really helpful for me was thinking about myself with a term of endearment. So for instance the word “darling” in my family when I was growing up was quite a severe term, but my husband calls me sweetheart. So if I started to feel that distress was the arising, mindfulness, I was then able to say to myself something like “It’s okay sweetheart to be feeling distressed right now, it’s only natural, these sensations will pass with time, be gentle on yourself right now”. I know it feels really silly to start using terms of endearment but I would strongly recommend that you practice it over and over as the more you do something that starts off feeling awkward, the sooner it starts to become habitual and second nature. I also think of some of my best friends standing next to me and what they would say when I had negative thoughts and feelings arising. Luckily for me my best friend in stuntwoman in South Africa so she is very straight talking and dynamic, though like marshmallow inside. If I started to sound like I was being self-deprecatory and blaming myself about having cancer she would always say to me something like, “be kind to yourself, have a bath or go for a nice walk or eat some chocolate”. There are lots of different things that she would say to me and her voice is like an earworm and goes round and round in my head. For instance if I am working late and I feel I’ve just got to write another email or there is something to do I will start to hear her voice coming in; “Karen it’s okay, time to leave work and you will be able to come back to it tomorrow”, in a very soothing tone. Her voice has now become my own. We have mirror neurons in the brain, empathising with what we see and hear from others, and when they’re stimulated a whole cascade of events is initiated throughout our body, heart and mind. So when we’re listening to a difficult story for instance we need to look after ourselves, soothe ourselves in times of difficulty, thereby stimulating the nervous system to calm down, having a positive effect on our hormones and mood. Another way of doing this is through physical touch, such as stroking the hand or the arm, hugging or experiencing the sensations of the body as it moves. What we are doing is stimulating oxytocin which is a bonding hormone that really helps us to feel connected and kind to ourselves and other people. When I was speaking at a conference not so long ago, Mindfulness in Social Work, there was a neuroscientist in front of me and a service user was telling us her harrowing story. I noticed that the neuroscientist right the way through stroking her own arm so that she was soothing herself as she was listening to this story. Some people use the word toolbox, I prefer to think of it as the treasure trove of these wonderful little practices, all the treasures that we have that we can really build upon and call our own. We have to be creative and try things out a few times and see if it’s really helpful, useful and supportive for us. So, I started to work much more specifically with teaching compassion practices to clients and began to see the truly transformative effects when used in conjunction with mindfulness. I decided to have a look around to see if there are any other qualification courses that therapists, teachers and other professionals could go on to learn about Mindfulness and compassion. There weren’t any so I decided to develop one myself. I developed a qualification called “Integrating Mindfulness and Compassion in Professional Practice” and we are currently teaching several courses per year in London, Taunton, Cambridge and Bristol. I’m very happy to tell you more about this after this talk and you can come to our stand on B33. So rather than talking to you the whole time about the wonders of self- compassion I would like to take you through a relatively short practice and allow you to experience it for yourself. Some of you this may well be very familiar and for others and this may be a first time you’ve ever done anything like this. Practice– mindful posture, breathing, hand on heart, image of self, good things you do, why people love you, mindfulness- how does it feel in body, heart and mind. In particular I’d like to hear from anybody who felt a shift during the practice. Thank you, clearly mindfulness is so beneficial for us but bringing in elements of compassion and kindness not only help us to develop the relationship we have with ourselves but also our interpersonal relationships, with those with whom we live, work and play. It helps us in connecting with other people- we are social animals and we are not meant to be isolated, living in one person households and working from home- withdrawing a little bit from society. By bringing that sense of mindfulness and compassion to all we do, what we think and feel about ourselves, our communication skills become kinder and more empowered, which is so beneficial. Of course it really helps to feed into our sense of health, a sense of what we’re doing here on this earth and our well-being, particularly when life throws us a curve ball.